Stock product - detailed vector illustration - E GROUP Collection - EURO 2016 Championship - created by Aurielaki. Image formats EPS AI JPG. SKU: EURO-2016-Championship-GROUP-E-AurielAki. Category: World Cup 2018 Russia Soccer. 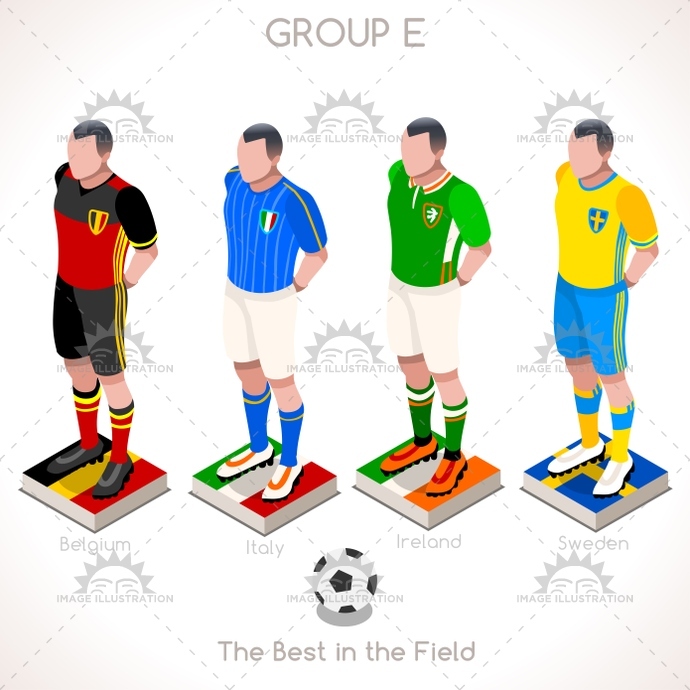 Tags: 3d, apparel, belgium, bet, champion, championship, chart, clothes, collection, countries, cup, euro, european, final, finalist, flag, football, france, french, game, group, group a, icon, illustration, infographic, Ireland, isolated, isometric, italy, jersey, match, online, participating, people, player, qualified, soccer, sport, stage, sweden, t-shirt, team, tournament, uefa, uniform, vector, web.